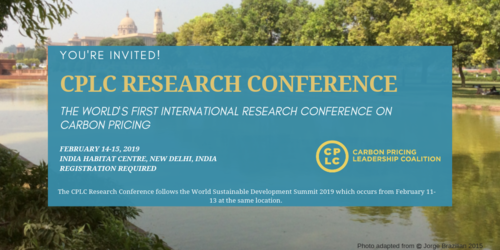 The Carbon Pricing Leadership Coalition (CPLC) and the World Bank Group are hosting the world’s first International Research Conference on Carbon Pricing on February 14-15 in New Delhi, India. Research and analysis are vital for effective carbon pricing design and implementation. With the goal of strengthening the carbon pricing knowledge base and fostering an improved understanding of the evolving challenges to its successful application, the Carbon Pricing Leadership Coalition will convene researchers, practitioners, and interested stakeholders for the CPLC Research Conference. The event is convening over 30 researchers from across the globe to present papers on various carbon pricing themes. These papers have been selected through a review process by an international scientific committee comprising of academics, researchers, and policymakers. 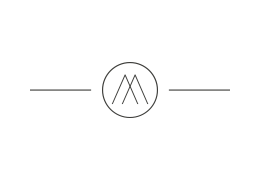 The two-day Conference will host over 300 participants and be centered around six central themes: (1) Learning from Experience, (2) Carbon Pricing Design, (3) Concepts and Methods, (4) Political Economy, (5) Decarbonizing the Economy, and (6) Emerging Frontiers. Each day will feature plenary sessions with leading experts, followed by concurrent sessions covering the six themes.